As a leader of quality, Kayaba pays a lot of attention to its assortment – high quality, large volumes of manufacture and a flexibility of company maintain the actual offers for 2800 cars of different models. The car lovers and experts have long known that Toyota is the setter of the high quality standards in the world of car industry. The quality requirements of Toyota car parts are much higher than ISO 9000 standards. 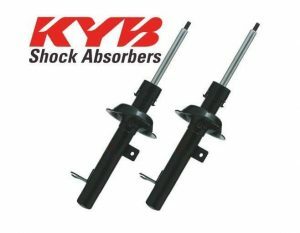 Therefore, 52% of all Toyota cars have the shock absorbers KYB (including such models as Lexus 400, Lexus 200, Lexus Coupe, Camry, Corolla, Carina/Corona, Supra, etc.). Mazda, another leader of the car industry market, is also equipped with the shock absorbers KYB. The products of Kayaba are characterized by the high quality. It is important to note that all the products are made on the same conveyors. That’s why there is no difference between the shock absorbers, coming for the car assembly and those offered in the car market.